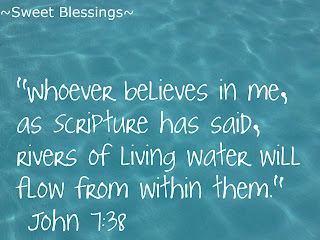 I love thinking about the Living Water within us! Just visualizing it brings me joy! Bless you and Happy WFW! I've got a river of life flowing out of me. Opens prison doors, sets the captives free. Are you singing yet? :) Great picture and great truth! Oh Lord Jesus may that be so in our lives...in a world that is so thirsty. What a beautiful peaceful image of what it's like to abide in Christ. Praising Him for His living water! Happy WFW! Hi Jenifer - lovely peaceful words. You can just imagine the flowing waters. Peace not as the world knows it. I love this verse, and chapter for that matter, in John... Such a powerful statement of what our faith can be! So grateful for the Living Water! That is a very deep scripture, the Holy Ghost is often seen as water and without being baptized in water there is no remittance of sin. I love the scriptures, they are my bread. How refreshing ~ the image and the verse. 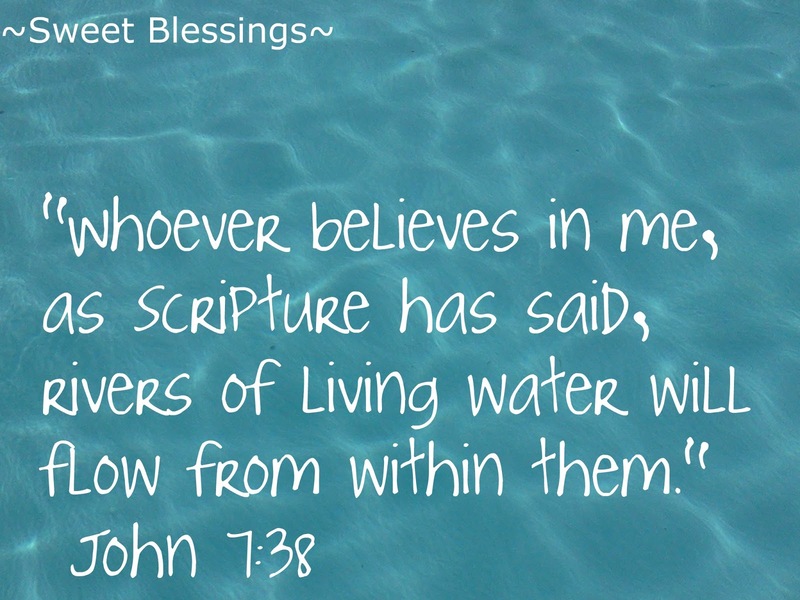 Love the verse...and the water looks great too!